The ongoing large-scale Anakonda-16 NATO military maneuvers in Poland, simulating the repulsion of “Russian aggression” against the country, are counterproductive, Deutsche Welle cited German Foreign Minister Frank-Walter Steinmeier as telling Bild am Sonntag newspaper, in an interview to be published Sunday. “Whoever believes that a symbolic tank parade on the alliance's eastern border will bring security is mistaken,” Steinmeier said ahead of the upcoming NATO summit in Warsaw beginning July 8. “We are well-advised to not create pretexts to renew an old confrontation,” he emphasized. Rather than inflaming the situation further “through saber-rattling and warmongering,” there ought to be more space for dialogue and cooperation with Moscow, Steinmeier said. 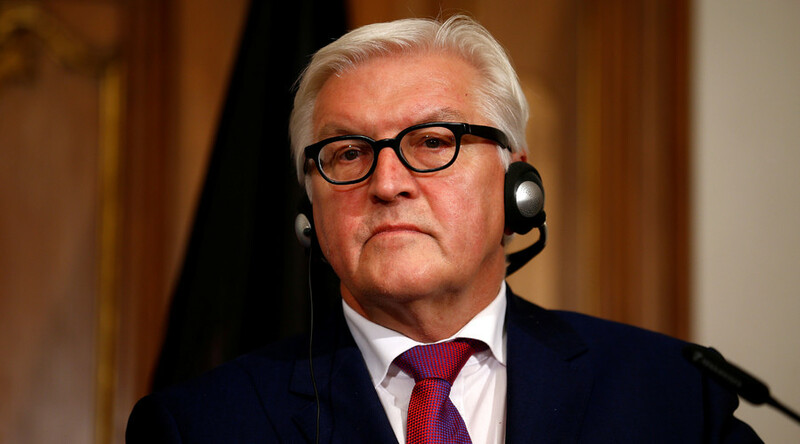 It would be “fatal to now narrow the focus to the military, and seek a remedy solely through a policy of deterrence,” German FM said, calling to give way to diplomacy instead of military posturing. Calling for dialogue and a diplomatic approach, Steinmeier also mentioned the necessity of maintaining military preparedness of NATO. The alliance should also consider the possibility to “renew discussions about the benefits of disarmament and arms control for security in Europe,” he said. The Anaconda drills have become NATO’s largest exercise in Europe since the Cold War, bringing to Poland over 31,000 troops from 24 NATO member states and “partner nations,” including the US, the UK, Germany, Canada, Spain, Sweden, Turkey and others. Moscow has once again pointed out that augmentation of NATO military presence in Eastern Europe and Baltics is unjustified, stressing that Russia has no plans whatsoever to interfere with any country in the region. “I am convinced that every serious and honest politician is well aware that Russia will never invade any NATO member. We have no such plans,” Russian Foreign Minister Sergey Lavrov stated. The NATO summit in Warsaw is set to put “Russian threat” issue high on the agenda, as the gathering will be making the final decision on stationing additional NATO troops in Eastern Europe. 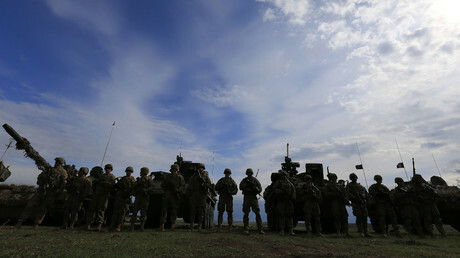 More NATO troops deployed to Poland will be sending “a clear signal that an attack on Poland will be considered an attack on the whole Alliance,” the bloc’s Secretary General told reporters following his meeting with Polish President Andrzej Duda in early June. The statements made by NATO leadership put Russian diplomats in a position where they have to deny the obvious. “During the NATO secretary general’s recent visit to Poland, officials in this country [Poland] made statements suggesting that from now on Russia would know that any attack on Poland would mean an attack on NATO as a whole. This is completely absurd because they are discussing a non-existent problem. There are no plans for any attacks on Poland,” Russian envoy to NATO Aleksandr Grushko said in an interview with TV channel Russia-24. NATO “needs a foreign enemy, otherwise what would be the reason for the existence of such an organization,” said the Russian leader. The conflict in Ukraine, caused by a bloody coup supported by the US and its European NATO allies, was forced on that country “to substantiate the very existence of the North Atlantic alliance,” the Russian president concluded. Putin assured his audience that he does not want to proceed to a new Cold War, as “no one wants it.”“However dramatic the logic of the development of international relations might seem on the outside, it’s not the logic of global confrontation,” he explained.